Are you looking for a great idea or some inspiration to make your marketing more effective and cutting edge? 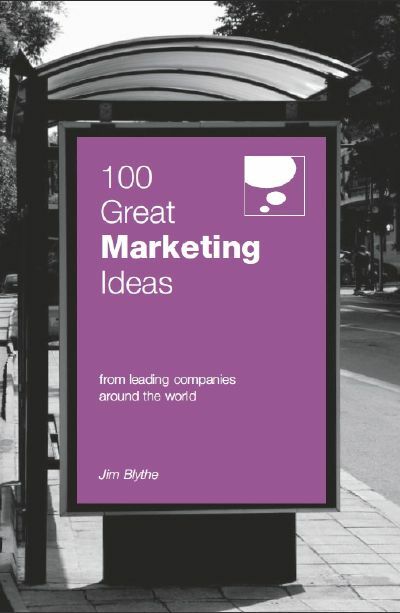 This book contains 100 great marketing ideas, extracted from the world s best companies. Ideas provide the fuel for individuals and companies to create value and success. Indeed the power of ideas can even exceed the power of money. One simple idea can be the catalyst to move markets, inspire colleagues and employees, and capture the hearts and imaginations of customers. This book can be that very catalyst. Each marketing idea is succinctly described and is followed by advice on how it can be applied to the reader s own business situation. A simple but potentially powerful book for anyone seeking new inspiration and that killer application.